One of published applications opens across two monitors. Its window located almost on 1 and 1/2 monitors. No issues using a start program via Microsoft RDP. Be sure that "Use RemoteApps if available" enabled on Terminal Server. 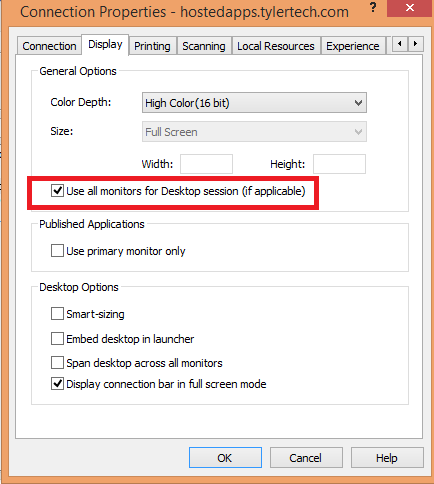 On the RDP Client side go to Connection Properties > Displays > tick "Use all monitors for Desktop session (if applicable)"